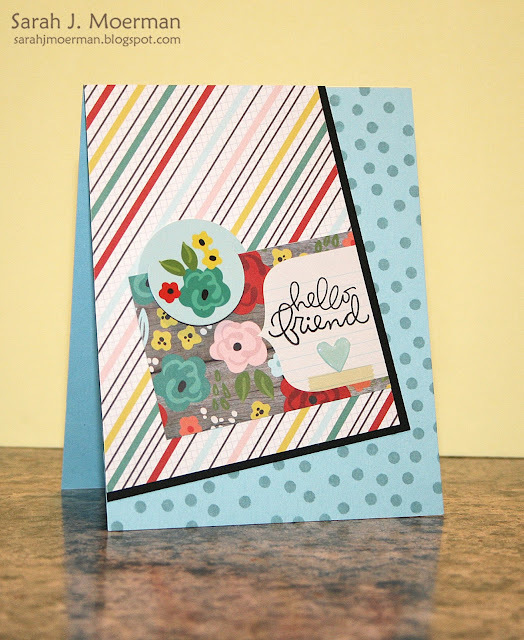 Simon Says Stamp Bear Hugs Card & Simon's April Card Kit Winner! I'm stopping by to share a card made using the Simon Says Stamp Plush Happy Bear Dies, Plush Easter Egg Dies, and Scripty Big Hugs Die. 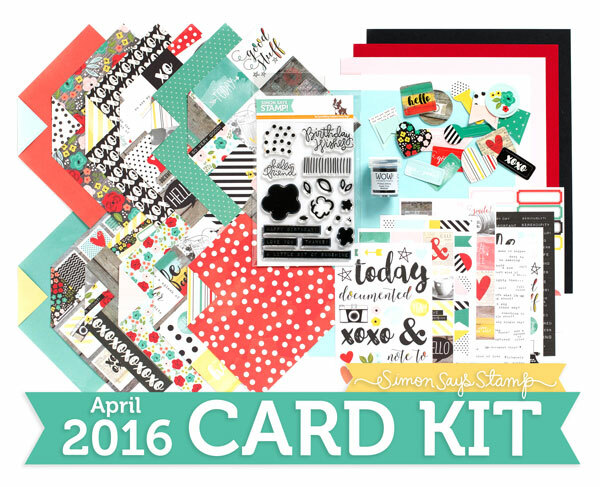 I'm also announcing the winner of the Simon Says Stamp April Card Kit. Great colour combination and stunning arrangement. You're very talented, Sarah! Congratulations Christina! Please email me via the email button on the side bar with your shipping info so I can pass it on to Simon! For today's card I wanted to try felting (where you put the felt through agitation and heat to shrink it). I did so with my die cut bear in the washing machine but only got it to shrink to about 90% of it's original size. I hope to keep trying this technique to see if I can get more drastic results. If you have any tips for me please let me know in the comments! Rather than die cut the bear's features I opted to use sequins, google eyes, and a button. (I did die cut his black nose from felt.) I then die cut the Scripty Big Hugs die from Simon's Black Cardstock and attached just the 'hugs' to the card with some red twine. The grass was also die cut from felt to give it some texture. I'm popping by to share another card made using the fabulous Simon Says Stamp April 2016 Card Kit: A Colorful Life! For this card I focused on using some of the gorgeous Simple Stories Life in Color 6x6 Papers along with the coordinating Life in Color Stickers. 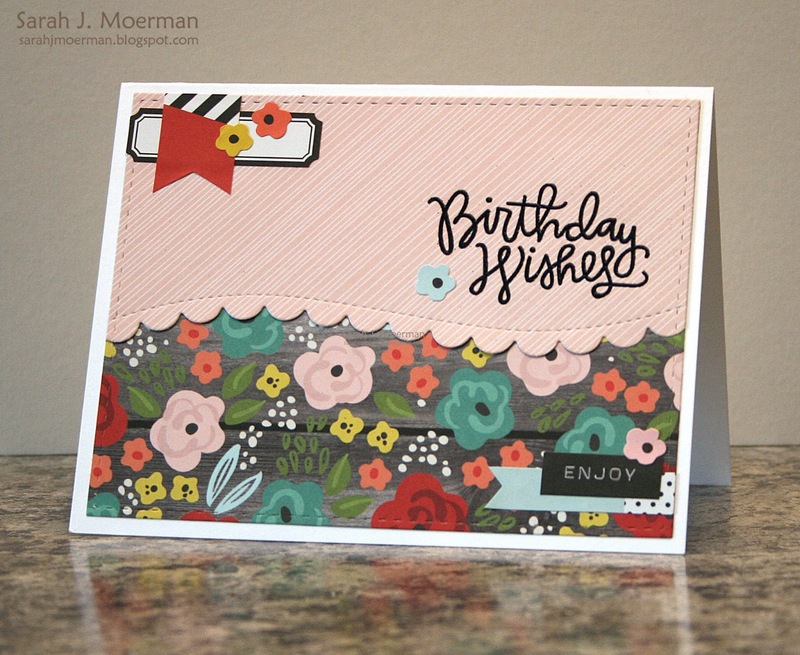 The sentiment is from this month's Simon Says Stamp Birthday Flowers Stamp Set and is heat embossed using the WOW Primary Ebony Super Fine Embossing Powder that came in the kit.